(Newser) – Three women have a chance at making history in the US military after passing the Marines' grueling endurance test for infantry officers, reports the Washington Post. This was just the first step, however, explains the Christian Science Monitor. Their passing grade in the Combat Endurance Test merely allows the women to move on and try to complete the rest of the Infantry Officer Course. So far, 24 women have tried to do so and failed. Only one has previously made it beyond the initial endurance test, in 2012, but she had to drop out of the course a week later because of a stress fracture in her foot. Wow, leave for a couple of days and returned to destruction, hate and discontent! Get SOME! Gemini528, MISANDRIST? I actually had to look that one up and am impressed! ROTFLMAO! Funny but it fits, but it would have been better as NARCISSTIC MISANDRIST! People, people, people! Yo, fractal, Gemini528, Sammirah Meowski. 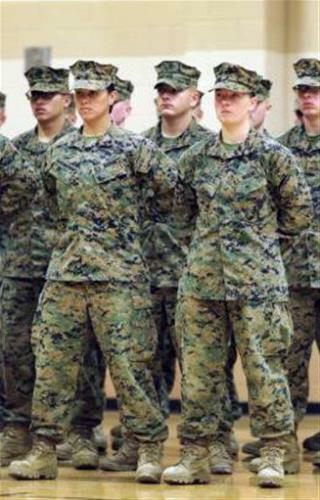 Fractal I agree with some of your comments (let them try) however there will NEVER be an all-female combat company, platoon, unit, squad or team in the Marines. To try that would be tantamount to a disaster. Even the Marines weed out Marines (male or female) when they don't meet muster! Human nature is human nature and in combat that issue would be costly and an extreme negative factor. Now if you have any combat experience let's hear it, I'll listen! I for one have some “Class of 68-70” . Now if the US military were to decide to train like the Isreali’s that might be worth some consideration.